Is the new home of your dreams planned out, the builder is ready to start, and suddenly you are looking for the last piece of the puzzle, Construction Insurance? Construction Insurance or Course of Construction Insurance is often relegated to the back of the line behind picking out great windows, the perfect master bath or the perfect builder to complete your new home. Don’t worry, here are some tips to make sure you are selecting the right insurance. So what is Course of Construction Insurance? We are all pretty familiar with homeowners insurance that provides coverage for our homes. Course of Construction Insurance is similar in many ways. The coverage is going to provide protection for your home as it is in the process of being built. Generally the first consideration is going to be coverage for the structure from the foundation and framing to roof, electrical, plumbing and interior features of our home. You also need consider if you will have any additional structures like detached garages, shops, mother-in-law units and fences. What other coverage options should I consider? - Coverage of materials in transit or off-site. If you are going to store any materials off-site in another lot or storage area make sure to have coverage for off-site materials. Also check for coverage while your materials are in transit from the manufacturer or distributor to your job-site. - Premises Liability provides liability for the property owner at the construction site. If someone comes onto the job site and slips and falls or injures themselves you need to have adequate liability. Some homeowners companies will allow you to extend liability coverage to another location. If you have a homeowners policy for a home you are living in while the new home is being constructed you may be able to extend coverage. You may also be able to purchase course of construction insurance directly from the construction policy. If you home would normally qualify for a regular homeowners policy, not in a brush area or previous claims, you can purchase a regular homeowners policy with an endorsement to cover course of construction. Many companies require that construction has not started and that construction will be completed within 12-months. There are several advantages of the endorsed homeowners policy to cover course of construction. First you can combine with your auto and other property policies to maximize savings. Second generally the homeowners policy will renew after 1-year as a regular homeowners policy so you won’t have to shop around for insurance again. Third the coverage is comprehensive and we can include liability under the single policy. 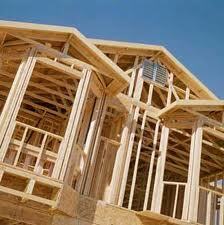 We can offer course of construction insurance on a policy specifically designed for homes under construction. Generally it is required to write this type of policy when the home is located in a high fire brush area, there are previous claims, construction has already began or construction will not be completed within 12-months. Coverage on this type of policy is tailored specifically for the time period the home is under construction and will need to be rewritten into a full homeowners policy upon completion of the home. We write course of construction or builders risk insurance in the states of California, Idaho, Oregon and Washington. We can provide a quote within the same business day. If you have any questions or would like Crosby and Crosby Insurance Services to help you with your coverage please call us at 661-327-5531 or send us an email at agent@crosbyandcrosby.com. You can get a live comparison quote here. What about course of construction or builders risk policies in high fire areas? We can help with your construction insurance even if you home is located in a high fire, brush area, or protection class 9 or 10. Please give us a call at 661-327-5531. What about course of construction or major remodel on a commercial building? We can help you with your commercial construction or major remodel projects. Our phone number is 661-327-5531.